EVERYONE who leads a team seems to be looking for the shortcut to success. They want to know the steps that will guarantee them a positive outcome. The good news is there is a formula; the bad news is knowing what it is doesn’t mean it is easy to follow! The formula I am about to give you is inspired by my love of gardening. Great gardeners are said to have a green thumb and people who can’t grow plants are said to have a brown thumb. The truth is that no one has an innate ability to grow or kill plants. Succeeding as a gardener is just a matter of having the right knowledge, skills and attitude. It’s about getting to know the needs of your plants, understanding the environment you are working with and devoting enough time to the tasks necessary for a successful outcome. If you can do those things, then you will have a thriving garden. Successful leading is also a matter of having the right knowledge, skills and attitude. I like to call the intersection of those three essential components being a Green Thumb Leader. Being open, flexible, inclusive, enthusiastic and positive. Throughout my career I have encountered a wide range of leaders. All of them sit somewhere on a scale from demoralising to inspiring. If you want to be a Green Thumb Leader, you must recognise where you are now because you can’t fix a problem until you know what it is! If “The Boss” were a gardener, you could say he was starving his plants of water, fertiliser and light. His gardens would be full of dead and dying plants, and if they had seeds they would fail to germinate due to the poor treatment they received. This is the type of leader who can kill off even the most skilled team member. 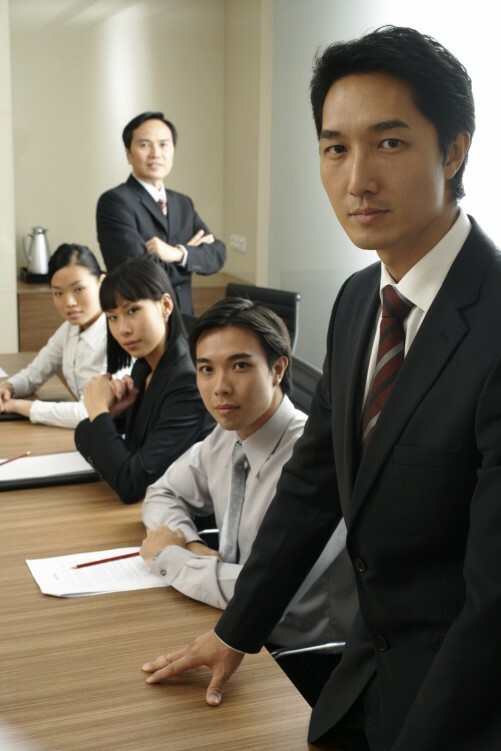 “The Boss” can take a high performer and reduce him to a non-performer through mistreatment. “Bosses” deny their teams the essential feedback, encouragement and praise they need to succeed. It would seem they don’t actually understand what it takes to get people to perform, so instead they use negative reinforcement and threats. If someone spends too long working for the Boss, he may never recover from the experience. While not as destructive as the Boss, this is the person who only manages to get by. He is able to keep his plants alive but just does not seem to get them to flower or fruit. You would describe him as a competent gardener but not an outstanding one. A person who can manage but not lead will also find that his team performs adequately but is nothing to be proud of. You could say managers leave their people in a dormant state, with unused potential waiting to be released — the equivalent of a seed that is ready to be germinated but needs the right conditions to do so. Their team seems to be performing but they could be doing so much more. The good news is that any mistakes they have made can be rectified and their team members can go on to be productive, high performers. A gardener with a green thumb is someone who has mastered the art of maximising the potential of each plant in his plot. Leaders understand what it takes to get plants to look their best and be highly productive. The really outstanding gardeners may even have grown new varieties or designed ingenious methods for overcoming challenges their environment presents. This is someone that other gardeners turn to for advice and inspiration. A Green Thumb Leader understands what it takes to help each of his team members reach their full potential. Green thumb leaders can see the oak tree within the acorn. They provide the right combination of feedback, encouragement and support to allow their team members to capitalise on their natural strengths. These are the team leaders whom other people turn to for advice and inspiration. They have no trouble attracting team members, as everyone wants to work for them. So if you think you are more of a boss than a leader, there is something you can do. Observe the green thumb leaders around you and see how they use this three-part formula for success.